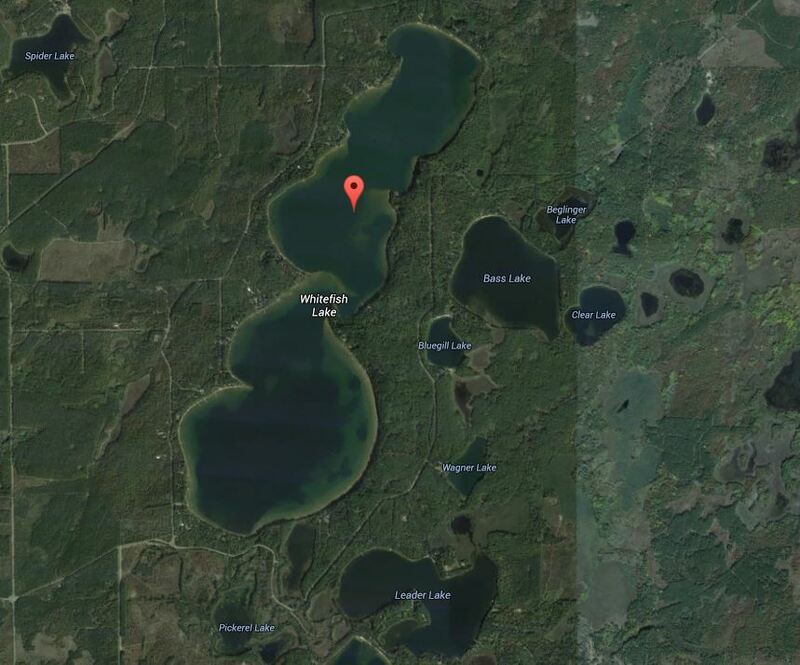 I’ve often wondered… Are there really whitefish in Whitefish lake? I’ve never heard of anyone catching one. So what’s the story? Are they still there? If so, where are they? To find out, I started with a little research online. Then I talked with Scott Toshner, the WI DNR fisheries biologist for Douglas and Bayfield Counties. Here’s what I learned. Whitefish Lake (also shown on some maps as Bardon Lake) doesn’t have whitefish, but it may have at one time. It does, however, have plenty of cisco, which are a close relative. Both species belong the genus Coregonus. They’re often confused; here’s a good explanation of the difference between whitefish and cisco. To add to the confusion, cisco are also known as tullibee or lake herring—and lake herring aren’t the same as marine herring found in the ocean. 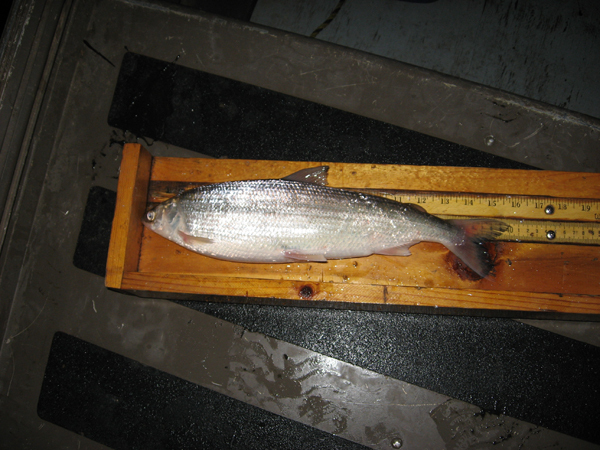 Whitefish can grow to over 12 pounds, and cisco to over 5 pounds. Both are fished commercially in Lake Superior, and both are delicious. Inland, they’re only found in a small number of northwestern Wisconsin’s especially deep, cold lakes. Among them are the Whitefish lake in southern Douglas County (that’s the one we’re talking about here), another Whitefish Lake over in Sawyer County, and Bayfield County’s Cisco Lake and Lake Owen. In Douglas County’s Whitefish Lake, cisco are only found in the southern part of the lake, which reaches a depth of 102’. There don’t seem to be any in the northern half of the lake, which has a maximum depth of “only” 56’. Cisco can’t tolerate warm water, and biologists believe they may be a “canary in the coal mine” sort of indicator species when it comes to climate change and water quality. They spend most of their time in deep water. And although they sometimes eat minnows or aquatic insects, they mostly eat plankton. So although commercial fishermen can catch plenty of them in nets, they’re rarely caught by hook-and-line. On Whitefish Lake, most anglers are happy to settle for northern pike, walleye, largemouth bass, smallmouth bass, trout, and panfish. Still, it’s great just knowing they’re present. If you’re fortunate enough to live on an inland lake in northern Wisconsin that contains whitefish or cisco, you know you’re on a deep, cold clearwater lake. Here in southern Douglas County, Whitefish Lake is a great example. And by the way… I currently have a gorgeous home for sale on Whitefish Lake – this stunning 6-bedroom home at the very head of the lake. Please contact me if you’d like to see this very special lake home. I’m also listing two great lake homes on nearby Bass Lake and Leader Lake. You can click www.JeanHedren.com to see all my listings. ← Just sold this darling well-preserved lake cottage on Upper St Croix Lake, Solon Springs, WI.